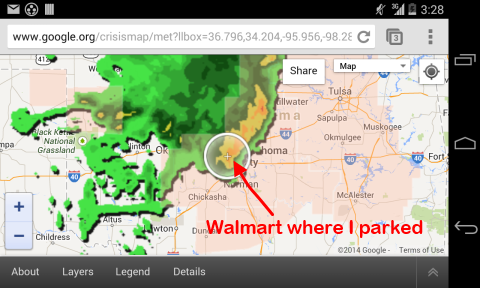 At the night of the 12th, Walmart, I got the severe thunder storm again. Wind was too strong, I had to hid behind the semi truck to prevent the RV rolling. 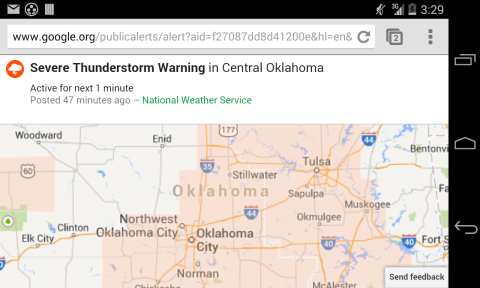 This strom was the worst kind for me, intense rain with unbelievable number of the thunders. Some security and police cars were parolling the area through out the storm periods, and that made me more worry and I was sit on the driver seat whole time until storm was passing out the area. And again, I had survived. 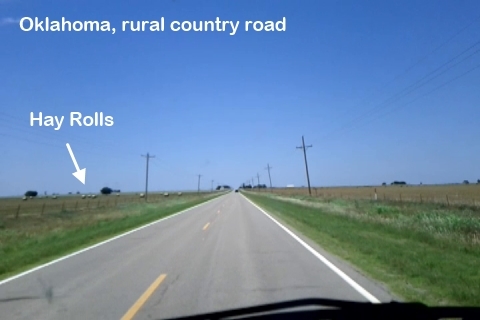 The states Oklahoma and Kansas roads are mainly for the senery, all around green ranches and farming lands. Very refreshing road views. Only trouble at the Oklahoma is the rough road condition at the rural area; where I had de-toured for the scenery out of the main highway. 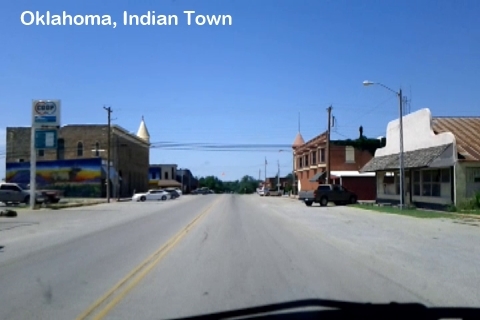 At the rural backcountry road of Oklahoma, there are many small Indian towns and they are very movie like towns; except the road conditions. When road condition changes suddenly, my soul also changes. Even with small changes on the road trip could change my behavior, the living environmental change would effect human behaviors alot for sure. Hoped more wow scenery, but they are just likely rural roads. However, for me from city, it is very refreshing. 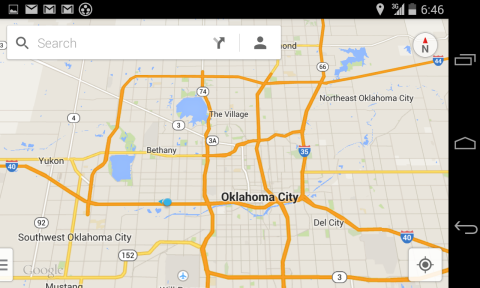 Oklahoma could be called as Hay Country. Lots of lots hay rolls over the farming lands, some machines are rolling them out of the grasses. 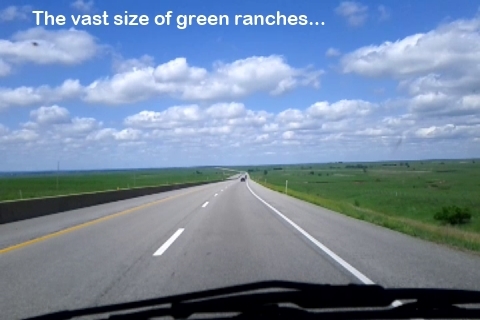 On the other hande; Kansas is the ranch and farming country, and very clean looking lands; vast ranches around the main highway. 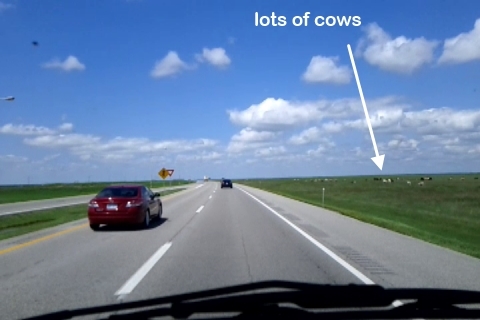 Like in Texas, all the surrounding road are covered with green grasses and ranches for the large area of the land to the horizon sight. 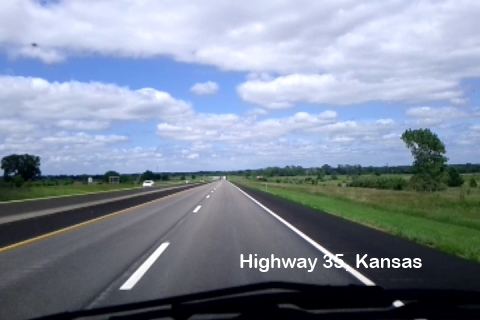 There is the road that I could do drive again and again if possible, Interstate Highway 35 (Toll, very small amount); US Highway Numbers with even numbering is crossing south to north, which has very impressive road scenery. As in the early summer, all the land color beside roads are green to the horizion. If you have chance to take road trip here, don't miss this road. 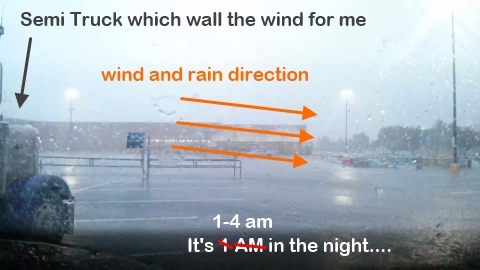 At the late afternoon on 12th, I tried to park at the Kansas City Walmart, but I decided to change the location. Why? When I arrived to the Walmart, I felt that I am not fit here at all. The Walmart is located at the near the main city, and the area is filled with city like peoples. And the location is little bit packed to small area. I don't want to be spoiled by them, and I don't want to spoil them by me, ha ha ha. So, I searched and found a new location; Public Highway Rest Area where people could stay over night. 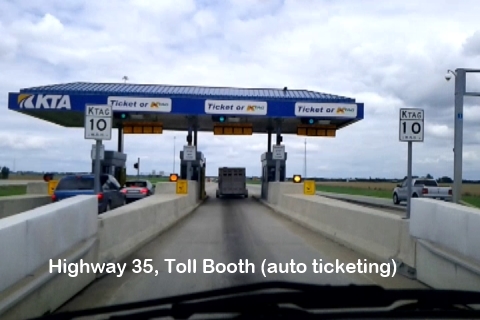 Luckily, I could get a spot where my RV could parked at the Rest Area. Little bit noisy, but feels I am at home. 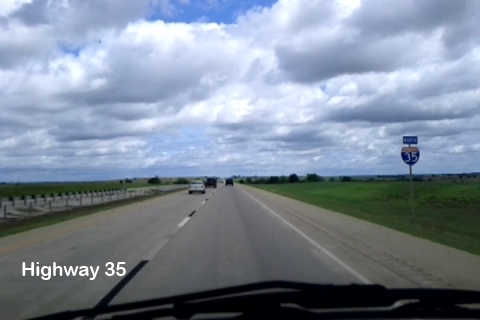 Road scenery images are from video recording clips.